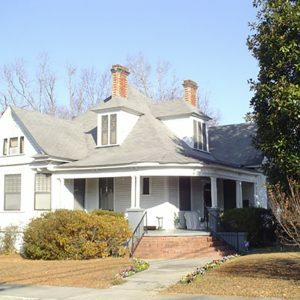 This house was built in 1903 for Major John Hammond Fordham, a lawyer and prominent African American citizen of Orangeburg. Fordham, a native of Charleston, moved to Orangeburg in 1874 after he was admitted to the Bar. In addition to practicing law, Fordham served in several appointive governmental positions, including coroner of Orangeburg (1874-1876), postal clerk in the railway mail service (1877-1887), and deputy collector of internal revenue (1889-1893).